Over the last couple of months I have become a couponer. 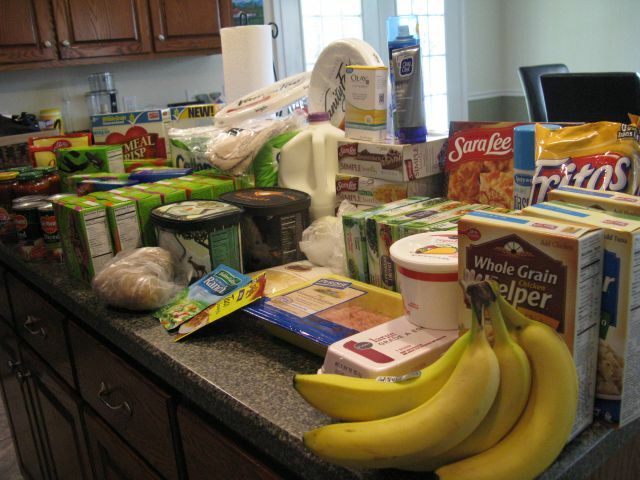 Nothing crazy like you see on Extreme Couponing. We get two papers delivered to our house every week. I cut out all the coupons and organize them in my coupon binder. Then I use SouthernSavers.com to match up the coupons I have to the weekly deals (I usually just do my grocery shopping at Publix once a week.). It's all about matching sales (especially BOGO) with coupons to get great savings. At Publix in coastal Georgia it is a little easier to save than in Florida. All coupons .50 and below double at Publix (and Kroger). So if you have a coupon for .25 then it will double to .50 and a .50 coupon would double to $1. Also, our BOGO sales are 50% off, meaning you don't have to actually buy one to get one free (you can just buy one for 50% off). I'm pretty sure at all Publix's you can combine a Manufacturer's Coupon with either one Publix OR one competitor's coupon (each Publix has a different list of grocery stores within a certain proximity that they consider a competitor--see your local Publix for its competitor list). If your coupon's go over the amount that the product is listed at then you get overage. You can use this overage to apply to another item in your cart. 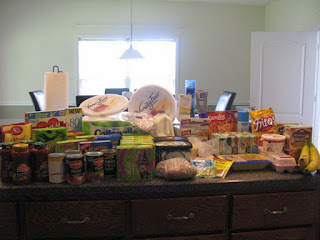 Eric and I are trying to stick to a budget, so couponing is a great way to help us meet our goals. We have allotted $350 per month for groceries (about $87.50 a week), but would like to try to spend under this amount. I also used a $10 Publix Giftcard I received in the mail via rebate for spending a certain amount during a ConAgra promotion. Thanks to the Savannah Savvy Shopper for her coupon classes!